In commemoration of the 10th anniversary of the Open University of Hong Kong, a Librarians' Round Table will be held for the ICDE members in Hong Kong on 11-12 October 1999. It would be held in parallel with the ICDE SCOP Conference 1999 in Hong Kong, and before the Asian Association of Open Universities (AAOU) annual conference in Beijing. Non-ICDE members are also welcome. The roundtable will focus on sharing of experience and knowledge in the field of library outreach services using communication and information technologies. The workshop is organised by the Centre for Research in Distance & Adult Learning (CRIDAL), the Open University of Hong Kong. The registration fee is US$100, and participants of the ICDE Librarians' Roundtable can enjoy a 25% discount off the registration fee. 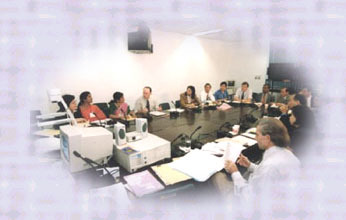 Participants who would like to attend the Roundtable please send your registration fee of US$200 by 30 July 1999 in bank draft made payable to "The Open University of Hong Kong". Registration fee includes lunches and teas in the two days event. Participants are highly encouraged to submit a paper of 500 words (in word 6.0 or above) or more describing their existing library services and plans for their library's future development. Papers should be submitted to the Planning Committee by email (pkam@ouhk.edu.hk) by 16 August 1999. The papers will be collected in a directory to be published by the Open University of Hong Kong. *Room rates for standard single room as of 4th June 1999 for reference. Contact: Ms. Peonnie Kam at email pkam@ouhk.edu.hk for details.